One of the services that I offer is recruitment support. I often advocate how using a virtual assistant is often a good alternative to recruiting an employed admin worker. However, there may come a time when your business has grown to a point where you need to employ new staff, whether that is for admin or for other job roles. I will explain in this blog post more about how you could use a virtual assistant to help with your recruitment procedures. Your VA can post the completed job ads to online job boards, social media, newspapers, and any other desired media. Select the channels used yourself, or get the VA to research and choose the right ones for you. It’s not uncommon for a job ad to receive an overwhelming amount of applications. Your VA can go through all applications carefully and select a number of the most suitable candidates to add to a shortlist. This would be run past you and used to decide who to interview or take to the next stage of recruitment. You could delegate the task of receiving and replying to messages about the job ad, such as enquiries and feedback. The VA could arrange interviews with your permission and add them to your diary. Even use this as an opportunity to be a more thoughtful employer by having your VA inform applicants who have been unsuccessful. If you trust your VA enough, you could have them interview your candidates for you. If this is a job better suited to either yourself or your hiring manager, the VA could instead sit in the room and take notes while the interviewer concentrates on speaking. Or if your VA is completely virtual, then alternatively you could record the interview and send it to the VA to transcribe into written notes. 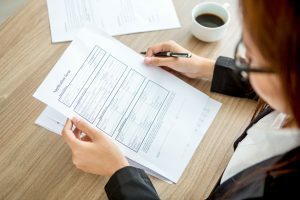 Blind recruitment is a technique that some recruiters use to avoid any bias or claims of discrimination against candidates on the basis of personal details such as name, race, age, marital status, or even university attended. If the rest of the recruitment process is handled by someone else, then a VA would be perfect for concealing such details in CVs and applications before passing them on to the hiring manager. So if you find yourself needing some assistance in recruiting a new employee, please get in touch with me at toks@tavaservices.co.uk or 07806449148. Thanks for reading!